Manchester City’s hopes of legal retribution may have faded, albeit for a short while, when Eden Hazard grabbed the opener for the hosts with a deflected shot: but their title hopes were severely damaged when the Belgian international restored parity for the Blues with a spot kick finish that cancelled out Sergio Aguero’s equalizer. Pep Guardiola has now taken responsibility over the lethargic start on his first season in England, with the promise of better days ahead for the Manchester club. 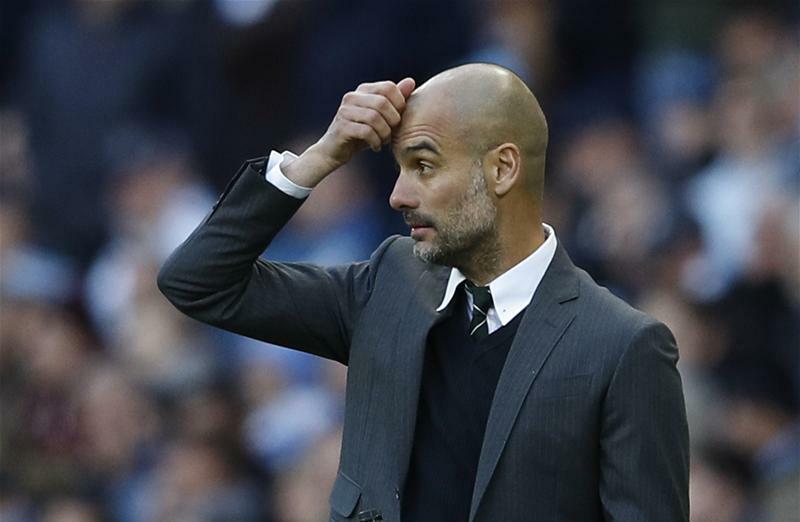 But what makes the Manchester City job the most challenging of his illustrious career? Manchester City were dishing out punishments at the start of the campaign, with many backing Guardiola as the man to beat in the chase for Premier League glory, more so after their cogent win in his first Manchester derby. The likes of Raheem Sterling and Kevin De Bruyne were flying and firing with supreme calmness and metronomic accuracy- one that made City stand head and shoulder above their opponents. Be that as it may, in the Premier League there are no easy fixtures. Losses to Everton, Leicester and further dropped points against Stoke, Tottenham and Arsenal have condemned City in and out of fourth place. With less than nine games left to the close of the season, the Premier League in all its murk and mire has left Pep Guardiola mud stuck- with everything to play for in the scramble for a top four finish. Guardiola now faces the uphill task of chasing for Champions League qualification: an event that would have been unthinkable when he came to England in the summer. City are currently fourth even though they have a game in hand, but the crucial plot point is that both Arsenal and Manchester United have a game in hand of City, leaving the three clubs embroiled in a cat fight for the last Champions League spot. For his entire trophy laden career at Barcelona and Bayern Munich, Pep Guardiola now faces the unwelcoming prospect of ending the season without a single piece of silverware: an unchartered territory for the Spaniard. One may argue that City have Arsenal to play in the FA Cup semifinals, but even if they beat the Gunners, Guardiola still has the daunting challenge of playing either Chelsea or Tottenham in the final: teams that have both disposed of Manchester City this season.